All throughout history, Latina women from various countries have made remarkable strides as leaders in education, art, music, business, community advocacy, social justice, environmentalism, politics, and in many other fields. To this day, there are countless Latinas who exemplify leadership in their communities and continue to make a difference in society. In honor of National Women’s History Month, artists are invited to submit pieces that celebrate and commemorate various Latina women who have gone above and beyond as leaders and change makers, in history or present day. A maximum of four (4) submissions from each artist. For more information, please see the attached .PDF regarding submissions and notifications. “FROM HER QUESTION” or with “QUESTION” or “URGENT” as the subject line. We receive many e-mails and will try to respond as promptly as possible. An art exhibition and tribute to the activism and community undertakings of Edward R. Roybal. Experience an illuminating glimpse of Mexican imagery, its people, cuisine, and traditions. There will be light refreshments served and a short program to celebrate the opening of our first site-hosted exhibit of 2017. Please feel free to share this event with friends, family, and colleagues; admission to both the exhibit and reception are free! This entry was posted in Art on January 13, 2017 by vnncadmin. ARTIST PRESTON CRAIG The Museum of the San Fernando Valley invites you to meet October’s featured artist, Preston Craig. Craig earned a Master in Fine Arts from the Academy of Art in San Francisco and a Bachelor of Arts in Applied Arts from the University of Louisiana. His award-winning work has been exhibited both nationally and internationally. He has lived and worked in Norway, England and Japan as an illustrator, computer graphic artist and scenic artist. 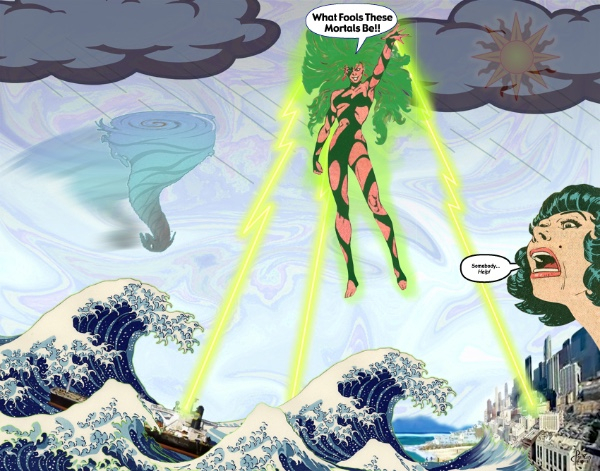 Craig’s artwork consists of a variety of imagery, utilizing classical and digital painting techniques sometimes combined with a splash of humor and social commentary. Visit The Museum on Saturday, October 29th, from 2-3pm to learn more about Craig and his art. This is the last artist speaker series of the year. Proceeds help support The Museum. Seating is very limited. Tickets are required. Everyone who purchases a ticket will be entered into a raffle for a chance to win original art prints, books and walking tour passes. Following the Speaker Series, you are invited to see the Hot Art | Cool Room exhibition one last time and make your final art purchases. 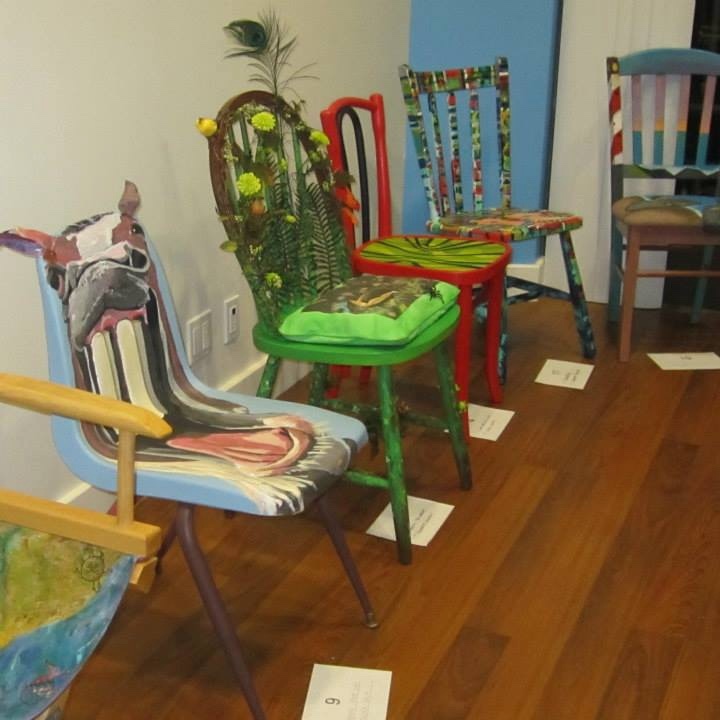 During the closing party you’ll also be able to bid on one of kind decorative chairs, enjoy wine, food and meet the winner of the second Patron’s Choice Award. More information about the event found on Facebook. This entry was posted in Art, Van Nuys Neighborhood Council (VNNC) on October 26, 2016 by vnncadmin. Today, Los Angeles Mayor Eric Garcetti announced several artists participating in the city’s first biennial along the Los Angeles River. The biennial seeks to call attention to water and sustainability as well as act as a cultural experience for visitors. The biennial, titled, Current:LA Water was chosen as one of four grantees in Bloomberg Philanthropies’ Public Art Challenge, which provides funding of up to $1 million for public art and aims to demonstrate the power of culture to advance civic priorities. Developed by the Department of Cultural Affairs Public Art Division, Current: LA will include works by artists and teams: Refik Anadol + Peggy Weil; Edgar Arceneaux; Josh Callaghan + Daveed Kapoor; Mel Chin; Chris Kallmyer; Candice Lin; Lucky Dragons: Luke Fischbeck + Sarah Rara; Teresa Margolles; Kori Newkirk; Michael Parker; Gala Porras-Kim; Rirkrit Tiravanija; and Kerry Tribe. Over 130 artists submitted proposals. The three other grantees of the Public Art Challenge (Gary, Indiana; Spartanburg, South Carolina; and a joint project by, Albany, Schenectady and Troy, New York) are undertaking projects that address some of the nation’s most pressing civic issues including neighborhood safety and urban revitalization. Spartanburg, has announced 10 neighborhoods participating in an instillation that will transform open spaces and create more vibrant neighborhoods. Gary, Indiana announced that six individual artists and teams have been selected to submit full proposals for their project, ArtHouse a Social Kitchen which seeks to use public space to spur development of a cultural district and to promote urban revitalization. And in a joint project aimed at addressing vacant housing, three New York cities, Albany, Troy and Schenectady, announced a host of community events including art workshops, local gallery installations, and clinics to enhance opportunities for potential buyers. To follow the developments of each city and learn more about how cities, artists and communities are coming together through the public art challenge, visithttp://publicartchallenge.bloomberg.org. This entry was posted in Art, City information on April 24, 2016 by vnncadmin. CURRENT:LA is Los Angeles’ first citywide Public Art Biennial taking place in summer, 2016. Putting a new spin on the traditional international biennial, CURRENT:LA will democratize the way people access art by featuring temporary public art projects and public programs at outdoor locations, taking art out of the museum environment and into the diverse neighborhoods of our City where residents live, work, and play. Every two years, the CURRENT:LA Public Art Biennial will focus on a theme that affects Los Angeles and other global cities in order to inspire civic discourse on the issue, using contemporary art as a way to deepen connections between people. Commissioned projects featured in CURRENT:LA will be selected by an independent curatorial team of established arts professionals with experience in issues-based public art. This city-wide cultural event is presented by the Mayor Eric Garcetti and the City of Los Angeles Department of Cultural Affairs (DCA), a department that has championed the arts in Los Angeles since 1925. The first presentation of the CURRENT:LA Public Art Biennial in 2016 is funded by DCA and Bloomberg Philanthropies through its Public Art Challenge initiative. The CURRENT initiative is funded through a match between the City’s Arts Development Fee (ADF) Program and private sources. WATER was chosen for Los Angeles’ inaugural biennial as a platform for the exchange of ideas around our relationship to water as global citizens. The issue of water is relevant and timely for LA, given that California’s current drought is one of the most severe ever recorded. Our challenges are similar to those faced by cities and regions around the world, with ever-increasing local and global demands for water resources to meet human, commercial, and agricultural needs. To better foster discussion, CURRENT:LA Water will stage large-scale art commissions next to bodies of water, both manmade and natural, including some alongside the Los Angeles River as a way to support the City’s broad and long-term goal of creating the River as a rehabilitated public corridor for art, culture, and community engagement. The CURRENT initiative is for all residents and visitors of Los Angeles. CURRENT:LA Water will consist of temporary outdoor art works that are open to the public and free to attend, giving everyone direct access to cultural experiences. In addition, creative public programming and other ancillary events will be hosted for the duration of the biennial. This month-long event aims to connect the over 4 million people living in communities throughout Los Angeles to inspire social action through the imaginative power of art. This entry was posted in Art on March 18, 2016 by vnncadmin.